05/03/03 Saturday: I ran a 5K race along the Charles, The First Annual Asthma FundRaiser at MGH, part of World Asthma Day. 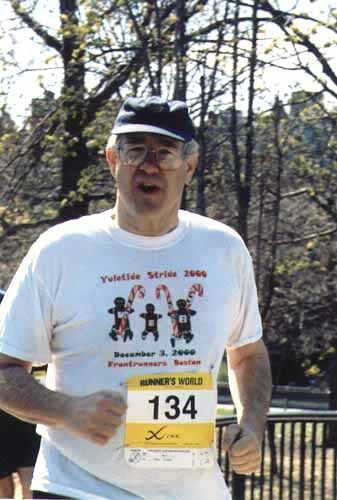 Here I am in the T-shirt from the last race I ran in before the Lyme. Finished this one in 36’20”. Felt great! !